Dinosaurs? Extinct? Think again. 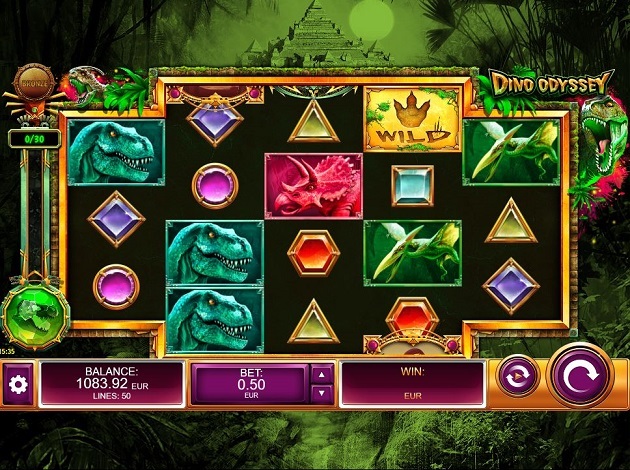 The exciting video slot Dino Odyssey brings back to life the prehistoric giant lizards that have been the inspiration of many game designers throughout the years. Dino Odyssey by Kalamba games offers a unique twist to this popular slot concept, with an original layout and top-notch graphics. The dinosaurs are held in a 3-4-4-4-3 reel setup with 50 paylines, offering an exciting alternative to traditional 5-reelers. Dino Odyssey has some innovative features that make this prehistoric-themed slot stand a head and a shoulder above the rest. Dino Odyssey may have a prehistoric theme, but we can assure you there is nothing ancient about the innovative features on offer here. Aside from the game’s bonus features you can find the standard settings. At the bottom of the game board, next to the spin button is the 'Autoplay' button, where you can set the number of spins from 5 to 100. Under the settings icon, you can also view your win history. The Wild Diamond symbol is depicted as a giant footprint on a yellow background. This symbol substitutes for all symbols in a winning combination apart from the Bonus, Green gem, Bonus Green gem and Amber symbols. It's also the most valuable symbol when in a combination of 3, 4 or 5 on a payline. This symbol works in exactly the same manner as the Wild Diamond symbol but it fills an entire reel, giving you a greater chance of getting a winning combination! This symbol is depicted as a small crystallized insect on a yellow background and it substitutes for all other symbols in a winning combination apart from the Green gem and Bonus Green gem symbols. When you land bonus symbols scattered across the reels in one go, you will be awarded the Free Spins Bonus. You’ll also pocket a sum equal to that of the T-Rex plus you will receive 10 free spins. During the free spins round, you can collect Amber Symbols which transform the whole reels 2, 3 and 4 into Wilds. If you manage to collect any dinosaur eggs, you’ll get additional free spins! At the bottom-right of the reels, you will notice a green meter with a dinosaur. By collecting the Green gem symbols you will get the opportunity to play the Bonus Spin feature, which has three different levels: Bronze, Silver or Gold. During the Bonus Spins round, you must collect Bonus Green Crystal symbols to earn a higher prize. There are 11 symbols in this game: the lower-paying symbols are the coloured gemstones, while the other symbols are the game's dinosaurs that represent the high-value ones. Naturally, the most lucrative symbol of them all is the Wild symbol. The payouts for each of the standard symbols on the reels are as follows: all the Gemstones Symbols pay 0.1x, 0.3x and 1x multipliers of the original bet for 3, 4, and 5 symbols respectively. The Dinosaurs character symbols comprise Green Pterodactyl and Purple Stegosaurus, which both pay 0.3x, 1x and 2x the original bet for 3, 4, and 5 symbols respectively, as well as Pink Triceratops and Blue T-Rex which pay 0.5x, 1.5x and 3x for 3, 4, and 5 symbols respectively. Behind the reels, ancient forests fill the screen. The style of the interface really provides the perfect prehistoric setting which is complemented perfectly by the intricate graphics. Although very detailed, all of the game's symbols are 2D and there are no animated or flashing effects to be found here. The games audio is more akin to classic arcade style slots, something which gives a more peculiar character to this game. Under the settings icon, you can readily find clear explanations of all the features. Dino Odyssey slot has a few interesting quirks that really offers fun gameplay. With the market already full of dinosaur-themed games, it’s great to see something so refreshing! With several Wild features and ways to earn Free Spins, players are spoiled for choice in terms of bonuses during the game. 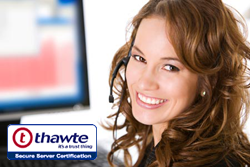 The graphics and design are of a great quality and do not distract at all from the main action on the reels. This is certainly a video slot that you shouldn’t miss out on, so prepare yourself to run with the raptors: try Dino Odyssey today at Videoslots! Kalamba Games is a company that’s always working to keep things fresh and exciting, constantly adding new features to their games and working towards distributing their games all over the world. Check out Kalamba Games like Fire Eagle and Gates of Babylon at Videoslots and you’re sure to find a game you love from their portfolio!